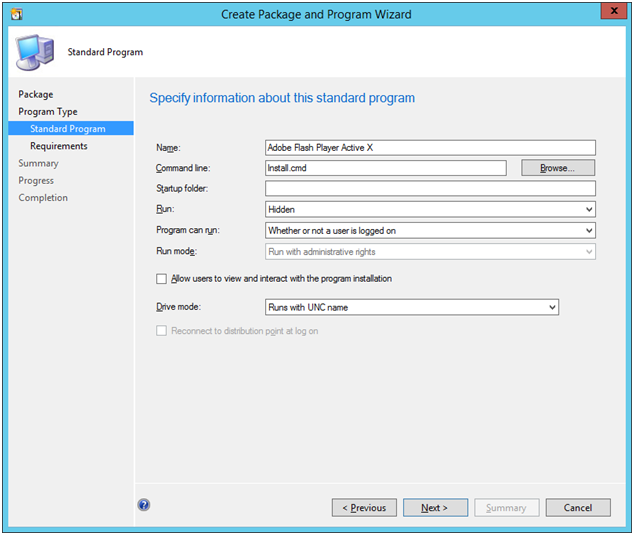 In this tutorial we will explain how to deploy adobe flash player with package in the Configuration Manager 2012. The deployment is based on script silently installation. We will get “msi” version 17.0.0.134 to demonstrate. The package will disable automatic update check. 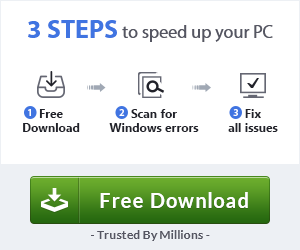 The entire process will be a silent install and your end-user won’t notice a thing! If older version is detected, this package will first uninstall the older version then proceed with the installation of newer version. 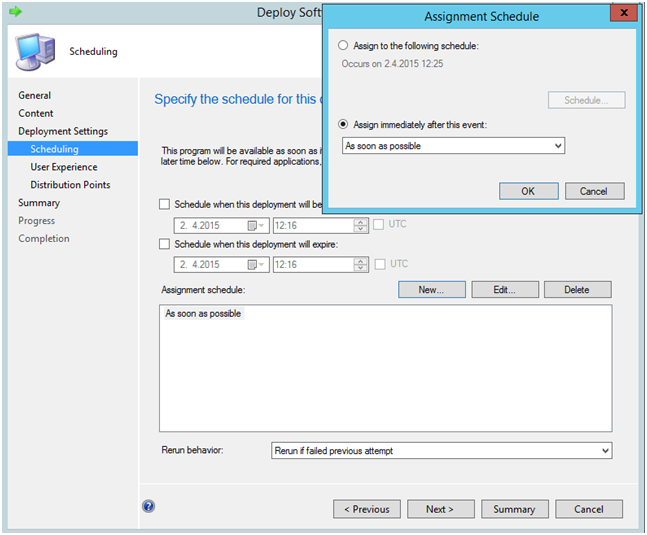 Note: The script can run with and without SCCM 2012. 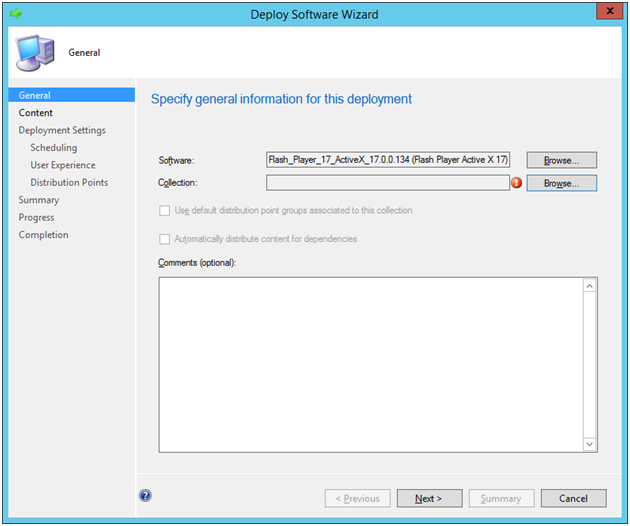 Create a folder with name “Deploy Adobe Flash Player 17.0.0.134 Package” . Inside create two folders named “ Deploy Adobe Flash Player Active X ” and “ Deploy Adobe Flash Player Plug-in ”. On the folder “ Deploy Adobe Flash Player Active X ” copy the “.msi” downloaded for Flash Player ActiveX. Create a text file called “install.cmd” and copy in the following command lines. if not exist "C:\Log_Test\" md "C:\Log_Test\"
start /wait msiexec /i "%~dp0%MSIFile%" /qn /l* "C:\Log_Test\%PackageName%_insta_Script.txt"
Create a text file called “mms.cfg” and copy in the following command lines. On the folder “ Deploy Adobe Flash Player Plug-in ” copy the “.msi” downloaded for Flash Player Plug-in . Create a text file called “install.cmd” and copy the following command lines. Now we have two packages created for Active-x and Plug-in. Note: The scripts created to save logs for installation on path inside the script. Can be change with the path you want. If you want to install the package with out deployment, just right-click on the “install.cmd” and run as administrator. 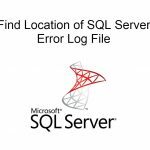 Check logs for the perform of the installation. D:\Software\ Deploy Adobe Flash Player – Inside copy the folder package that creates previously. This will help to manage simplest all applications in future. 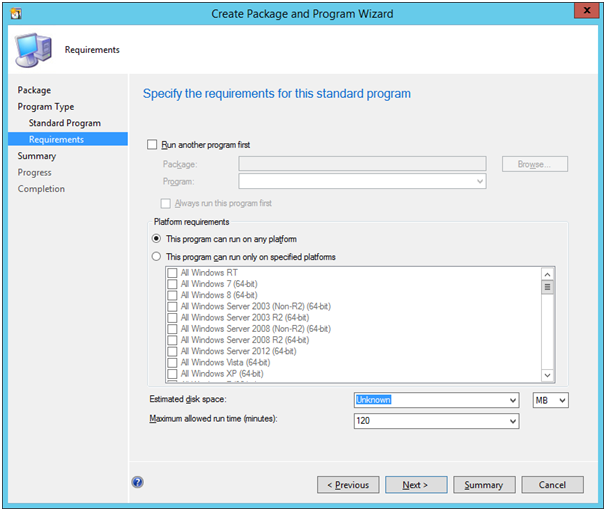 Go to “System Center 2012 configuration manager” – Software Library – Application management – Packages. Create new folder with application name like “ Deploy Adobe Flash Player Active X ”. We will create separate folders for all applications for best management. 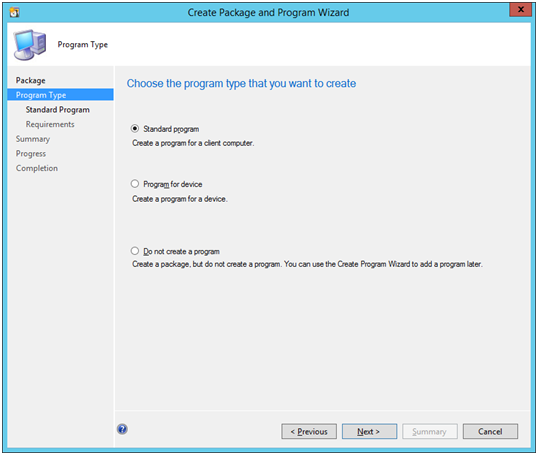 Right click on the folder and chose create package. Specify information about packages like: Name, Description and Version. 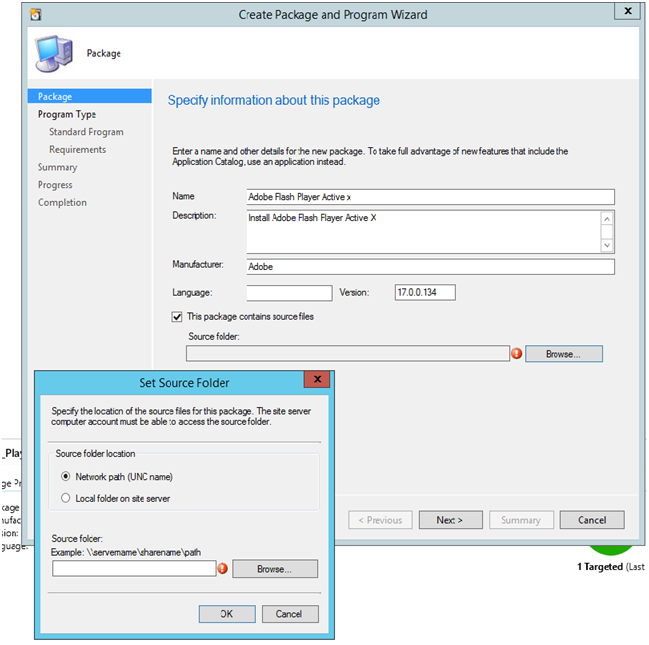 Specify source folder that previously copied package on the network location using network path (UNC Name). Specify some information about the package: Name it, start-up folder will remain blank, for command line select install.cmd (click Browse and find install.cmd file on the folder that we copied previously). Choose Hidden as RUN option. 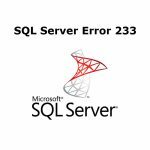 Select Whether or not user is logged on under Program Can Run. The remainder remains a default. Click Next. In this step you can specify which operating system to include or exclude. Click next. Click next to the following menus and on the last click close. Your package is ready for deploying. 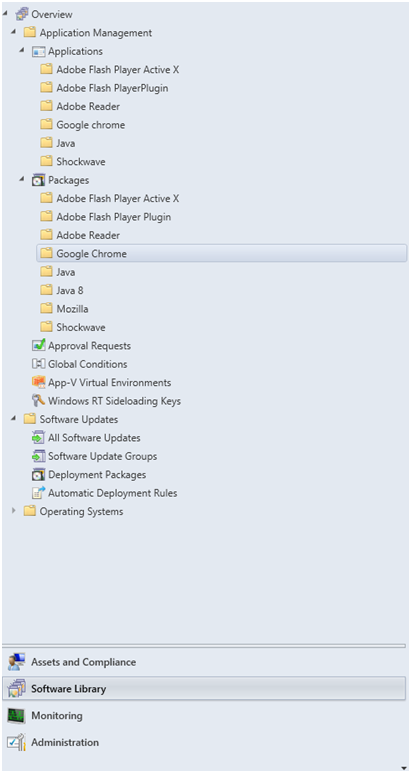 In this section we will explain how to execute Deploy Adobe Flash Player package. Right click on the package that created previously. Select Deploy. Browse for the collection where you want to deploy your package. Click Next. 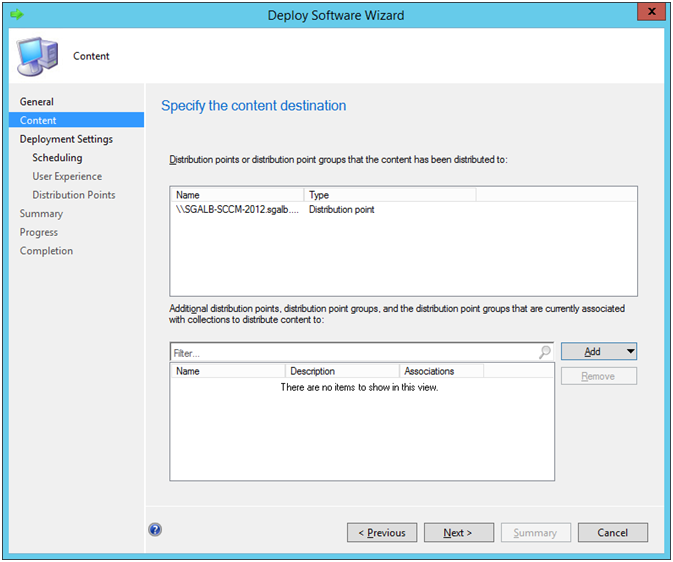 Select the desired distribution point from “add” menu and click next. Select required or available. We will select required to have flash player to all computers. We will specify schedule for this deployment. 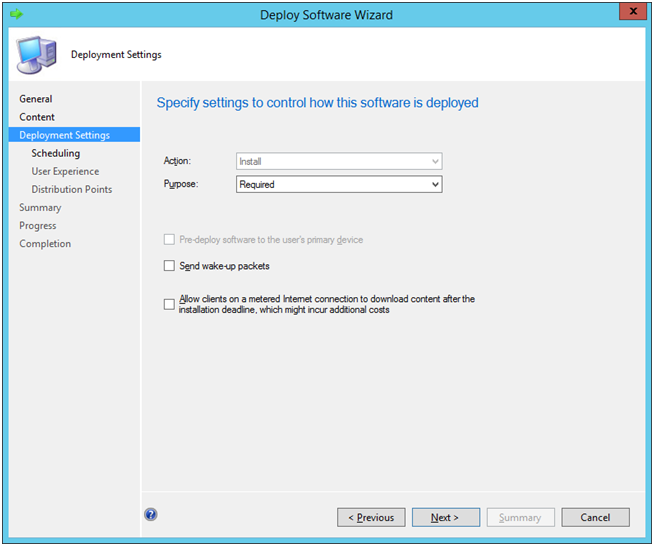 I’ll recommend selecting As soon as possible from the available options for fast deployment. Select “Rerun if failed previous attempt” on the rerun behavior. Click next through the remainder of the windows. The Deploy Adobe Flash Player finished and you can monitor on the Monitoring menu under Deployments tabs. To Deploy Adobe Flash Player plug-in, you can repeat the process from the creation of folder step under package menu. If you have any question about deploy adobe flash player, do feel free to ask in the comment section. Subscribe now and get email notification whenever we post new content.